Bolivia Expedition Dispatch: August 16, 2015 – Paul and Maria are in Bolivia! August 16, 2015 – Paul and Maria are in Bolivia! Osvaldo sent us word today that Paul and Maria had landed at El Alto International Airport at 4061 meters above sea level. Welcome to Bolivia! 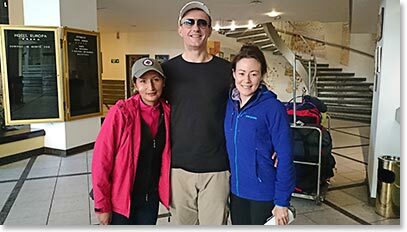 They both look great and ready for high altitude adventure in South America's wildest and most scenic country.